What do you do when life hands you lemons? Make lemonade, of course! 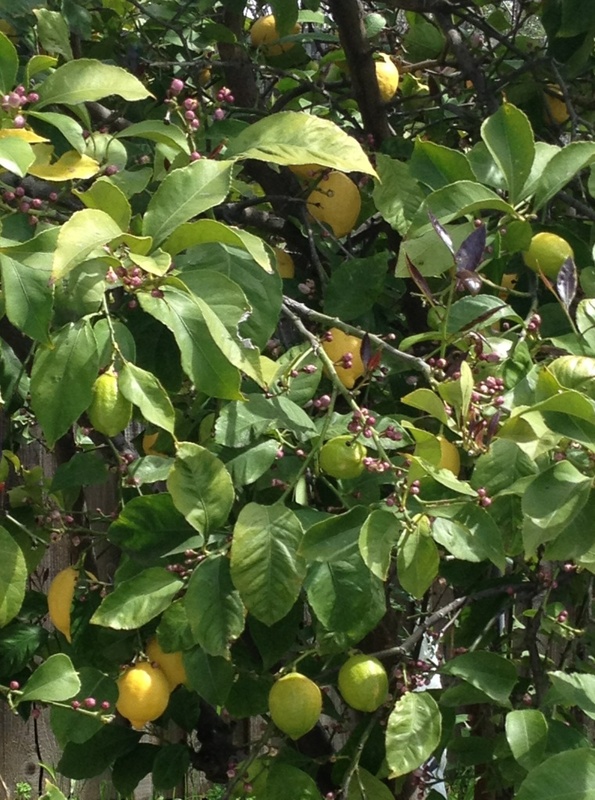 My sister/blogging buddy has the most amazing lemon tree. It always seems to be producing and, sometimes I feel like, the more we pick it, the more it produces. And we pick it a lot! Can you imagine? Free lemons right in her back yard when the local supermarket charges nearly a dollar each!?! It is the true definition of “local eating”. No long haul refrigeration required and I don’t even get charged an extra premium for them being “organic”. Thanks for all of the great lemons, Amelia!!! Cheers! 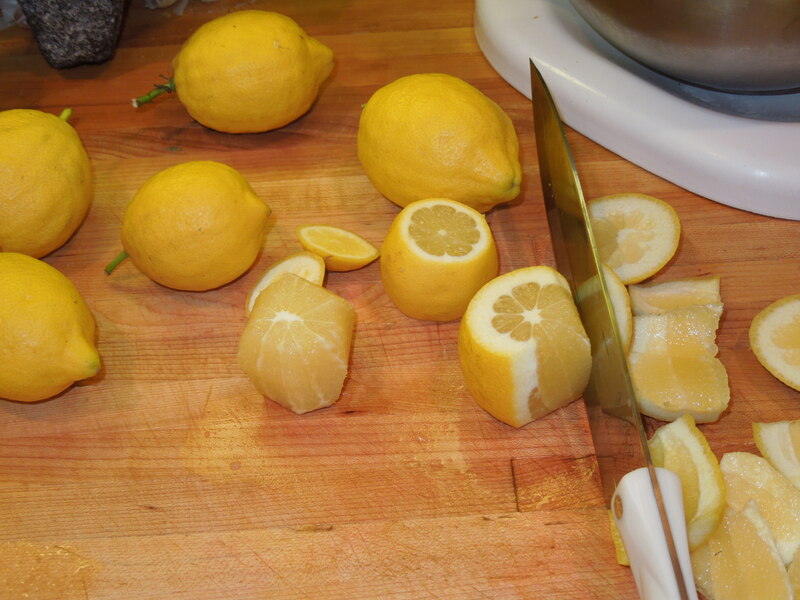 I generally opt for the faster method of cutting off the peels, ends first, then carefully running my knife down the sides, then running them through my juicer. See, and you thought you’d never use that juicer. 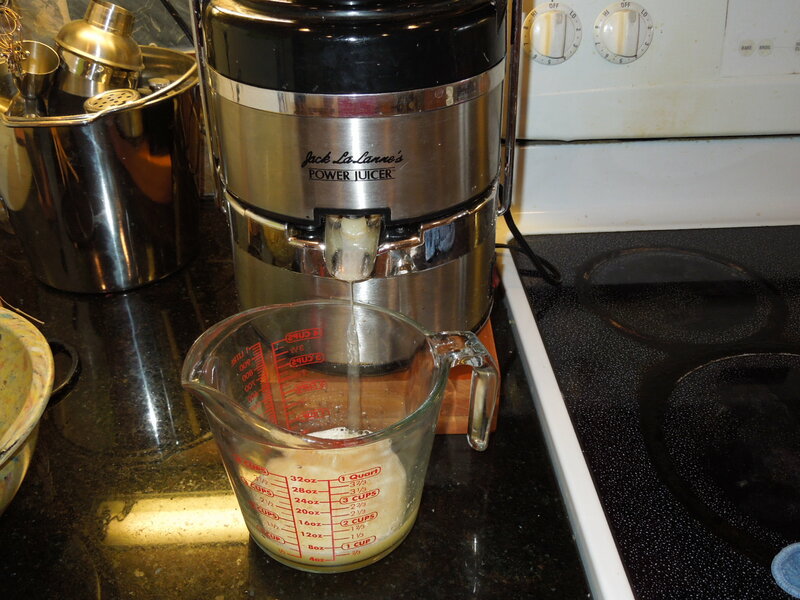 In a large pot, combine water and sugar and turn on burner to high heat. 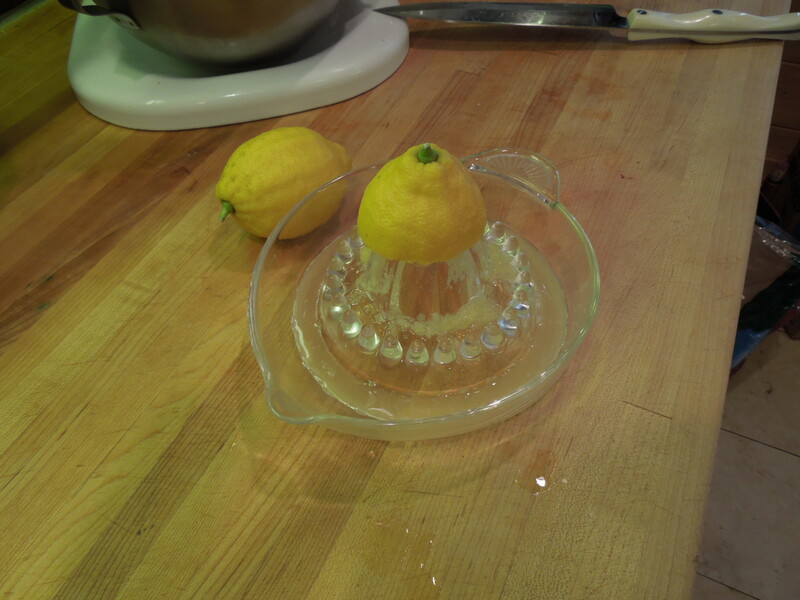 Once the sugar/water mixture has come to a boil, turn off the heat and begin adding in lemon juice, tasting the lemonade as you go, so that you can stop adding lemon juice once your own taste preference has been achieved. Once you are satisfied with the flavor, remove the pot from the heat, let cool, pour lemonade into a pitcher and refrigerate. Variations: If you want to add a little flavor and color to your lemonade, after juicing your lemons, in a separate container juice some strawberries, raspberries, blackberries, blueberries, pomegranate seeds, etc. After your lemonade is to the desired tartness, begin adding in berry juice, a little at a time, until you reach desired color and flavor. 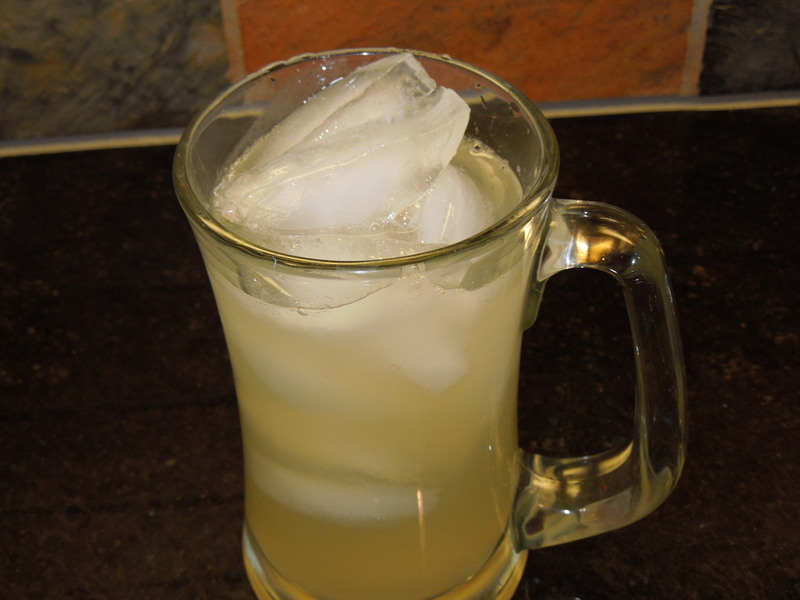 This recipe makes 2 quarts of lemonade. Tags: berry lemonade, blackberry lemonade, blueberry lemonade, drink, drink recipes, homemade juices, homemade lemonade, jack lalane juicer recipes, juicer ideas, juicer recipes, lemon drinks, lemon recipes, lemonade, lemonade from scratch, local eating, money saving party ideas, raspberry lemonade, recipe, scratch lemonade, strawberry lemonade, what to do with lemons. Bookmark the permalink.